So, you don’t board animals or bring them into your homes? Are you ever available for times other than when I go on vacation? 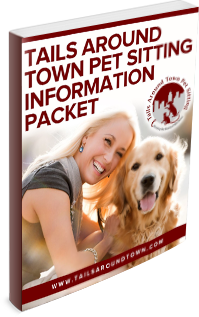 How do I get started with Tails Around Town Pet Sitting? What happens at the Registration Meeting? Do I have to have another appointment and fill out any other paperwork every time I leave town? What time do the sitters make their rounds and how long do they stay? Do you take last-minute reservations? Are there extra costs for services performed on a holiday? What is the Tails Around Town cancellation policy? Is it OK for my neighbor or relative to also check-in on my pets while I am away? What to do if we are delayed in returning home? What will you do if my pet becomes ill while I am away? My pet has been aggressive in the past-can it still be a client? You may be wondering why you should hire a pet sitter rather board your pet or impose on a neighbor to watch your pet. Hiring a professional pet sitter offers many advantages, both for your pet and for you. -Reduced stress: Your pet stays where it feels most comfortable and secureâ€”at home. With familiar sights, sounds, smells, and routines, your pet can relax and follow its regular schedule. -Minimal exposure to the illnesses of other animals. -Personal attention: Your pet will be pampered by a reliable professional using the games, play, walks, brushing, and instructions you specify. -No more imposing on neighbors or family members who may not have the experience or reliability of a professional pet sitter. -No worrying about transporting your pet while you are busy with work or travel planning. -Security: Your pet sitter will use proven crime deterrence techniques to give your home a lived in, protected look at no extra charge. -Special Services: Your service includes watering plants, retrieving mail, taking out garbage, and more. -Affordability: All your pets stay together for one low per visit rate. -Peace of Mind: While you are away you can feel confident that your pet is in capable, caring hands. No. We believe in in-home care, which is why we have chosen not to have a boarding facility. However, we do have pet care providers who can remain at the client’s home. This is our overnight/house sitting service, which is VERY popular. Absolutely! We provide services such as walking your dog or checking on an old or ill pet while you’re at work. We can even take your pets to grooming and veterinary appointments. Contact us at 843-621-3115 before you need pet care services so we can explain our procedures and answer any of your questions. We will set up a Registration Meeting to introduce you and your pets to your sitter. The registration meeting is a visit that allows the client to get to know our service and their assigned Pet Professional prior to the start of their service. During this visit their pet care provider will introduce themselves, spend some quality time with the pet, confirm and review the pertinent information about the home and pet care routine (e.g. vet information, emergency contact, special requests, etc. ), and answer any additional questions the client may have. We obtain and test two house keys (one for the sitter and one for backup). We do NOT provide service until this meeting has taken place. There is a fee of $15 fee for the registration meeting. This fee covers all administrative costs related to their account, as well as the sitter’s time. No. Once your Client Account is set up online, you can schedule future bookings anytime.All clients are provided with unique login information to their secured Tails Around Town account. From this gateway they are able to schedule service, check their personal service calendar, update their billing information and also update their password. All scheduling requests are confirmed during our regular business hours, which are 9AM-4PM Monday through Friday. Our sitters can visit their client’s homes up to 4 times per day. The “Morning” time slot for dogs is between 8-10 AM. For cats, 10-12 AM. The “Early Afternoon” time slot is between 1-3 PM. The “Late Afternoon” time slot is between 3-5 PM. The “Evening” time slot is between 5-7PM for cats and 7-9PM for dogs. Note: The 15 -minute visit option is not offered to clients using the Travel & Occasional Service for their dogs. We don’t believe that 15-minutes is enough time to visit with a dog that is by him or herself for an extended period of time. As much human interaction as possible is best to keep the hounds happy and calm until their parents return home. Do you take last-minute reservations? We’re more than happy to schedule pet care for last-minute needs, however we cannot guarantee that a sitter is going to be available on short notice. We also only schedule service during our regular business hours (9AM-4PM Monday through Friday). Online Booking is Not Available for appointments less than 24 hours and a $10.00 charge will apply. Our annual holidays are: New Years Day, Memorial Day, 4th of July, Labor Day, Thanksgiving, Christmas, Christmas Eve Day, and New Years Eve. There is up to a $20 surcharge plus the standard charge for the service being provided on these dates. 100% of these fees are paid to the sitters. No. For the safety of our client’s pets all visits MUST be scheduled through the Tails Around Town office. We use a high-tech scheduling program, which ensures that no pet is left behind. If a client schedules through their sitter and the sitter forgets to inform the office, that takes us out of the loop and therefore unable to follow-up with the sitter to make sure that the pet has been seen. Tails Around Town will not be held liable for visits scheduled without the knowledge of the office. We accept payment by Cash, Check or Credit Card through Paypal. For Credit Cards, you can pay directly from the link on your invoice. Payment is due when the client receives an invoice to their email. Your security is important to us. We have a special system of coding your keys, your name and address are never with your key and they are locked up when not in use. If other people are allowed access to the house, then Tails Around Town Pet Sitting cannot be held responsible for insuring the security of the premises, since another person might forget to lock the door or accidentally let the pet through the door. A large part of our service is communication with clients. We provide updates through a pet care journal to your email or a text message. Just let us know your preference when you set up your Online Account. We are here to serve you and give you peace of mind when you are away from home. Please call as soon as you know that you will be delayed, so that we can make arrangements to continue caring for your pets until you return. 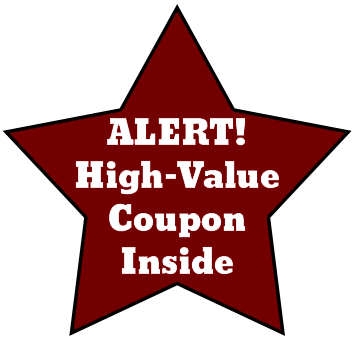 You will be billed for additional service visits. If the pet food supplies run out, we will purchase additional pet food. You will be billed for the cost of the food plus a service fee. If we suspect that something is wrong with your pet, we will call you at the emergency phone numbers we have on file for you. We will describe the situation with your pet. If you believe the veterinarian should see your pet, we will transport your pet to the veterinarian’s office for examination and treatment. In the event we cannot reach you, we will decide if your pet should be seen by the veterinarian. If necessary, we will take your pet for treatment. You will be billed for any extra time and expense we spend for these services. It depends on the type of emergency. If something was to happen to your sitter, we will have a backup sitter that can take over. If an emergency occurs with your pets, I will first contact your vet and transport them if necessary. You will then be contacted about the situation. If there is an emergency with your home, I will call you, your emergency contact and the appropriate authorities and/or a preferred repair service. If the pet has aggressively bit someone in the past then, no, we cannot provide service. That is too much of a liability issue. If the pet is skittish and maybe just growls around those he doesn’t know, then we will be happy to work with the client to see if a pet care plan can be designed that works. Our sitter will interview the client and the pet to determine if this is possible. If additional visits are necessary to socialize the pet with our pet care provider then the client needs to be present at all visits and pay the normal service fee until socialized. If at any time our pet sitter or pet owner feels that it is unsafe to perform a service, we will reserve the right to discontinue service without notice. Due to the stress on the animal, we strongly urge you to administer all medications to your pet. However, when that is not possible and your pet needs its medicine, then we will attempt to administer medicine orally, only. However, we will not administer medication to any animal that poses a danger to the sitter. We also carry a liability insurance policy that protects from financial loss in the event that we were liable for accidents that occur while caring for our client’s pets. Any responsible, professional business should carry liability insurance. We are happy to provide our clients with proof of insurance and our bond. We can easily email them a copy of our certificates.